Is This The World's Best Dance Company? 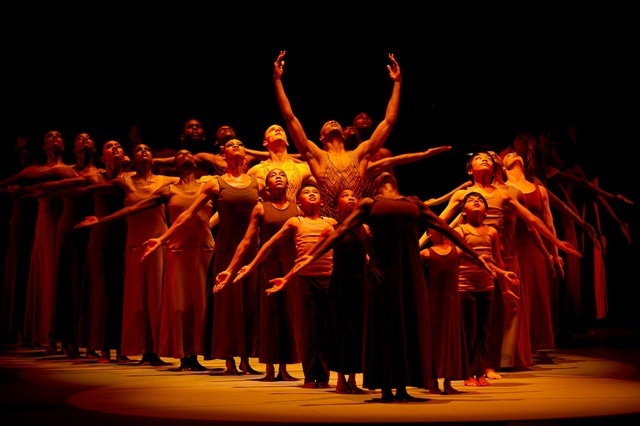 Alvin Ailey American Dance Theater from New York has become a name around the world synonymous with distinctive, memorable choreography. Putting on its first performance nearly 60 years ago to celebrate African-American culture and dance, it was emerging among the civil rights movement, just a few years after the Rosa Parks bus demonstration. After a five year absence from the UK, the dance company has headed back for a national tour that reached Birmingham Hippodrome early on for two nights. But six decades on does it have the same raw energy and potency? 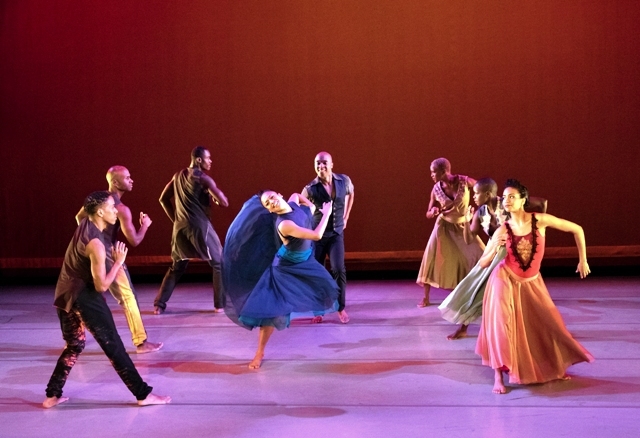 Across the two nights, the company offered slightly different performances, but both of them closing on its signature production Revelations, which is one of its earliest classic pieces, choreographed by Alvin Ailey himself in 1960. 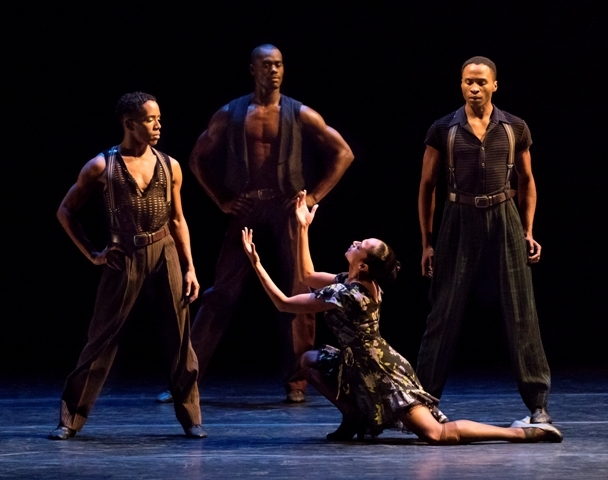 On the opening night in Birmingham on September 23, the show started with a Cuban-influenced dance Open Door. It's a highly stylised production that stuns the senses with both the choreography and a wave of vibrant colours thanks to fantastic costumes by Keiko Voltaire, which wouldn't look out of place at a fashion show. It's one of the newer pieces, created by choreographer Ronald K Brown last year but featuring the dance company's distinctive dance moves. The Lateral T is in there along with sassy shaping and infectious hip movements that make you want to join in. The show moved on to a re-imagined Argentinian tango in Piazzolla Caldera - a work created by renowned modern American dance pioneer Paul Taylor in 1997 that the Alvin Ailey company has been performing since last year. A sizzling, sensual dance, Piazzolla Caldera adds even more heat and passion to a usual tango and brings the essence of South America to the stage. Dancer Hope Boykin led in many of the scenes, bringing an emotional dimension to the performance. Leaving Revelations for the finale, it's the most poignant culturally of the three performances, pointing back to the struggles and hopes of the African-American heritage. It feels as though you are in the deep south, moving from sorrowful times with dancers clothed in plain hessian brown costumes to the uplifting bright white dresses for a Sunday church outing or picnic as the full sun glares down from behind the stage. Revelations can't help but be extremely emotive and sensually raw, especially through a soundtrack of gospel, blues and hymns. The choreography and characterisations are superb too, even making a whole section from ladies vigorously waving fans. It's still a stand-out dance production that has stood the test of time. But from start to finish, all three productions felt unique and fresh, sending a spark of excitement at seeing something so distinctive and original. The exceptional dancers are pinpoint exact and complemented by fine detailing in the scenery and clothes that bring out the best of the aesthetic experience. During Revelations in particular, the glowing turquoise backdrop contrasts stunningly with the bright starch white costumes and sun parasol of the dancers to the music of Wade In The Water. 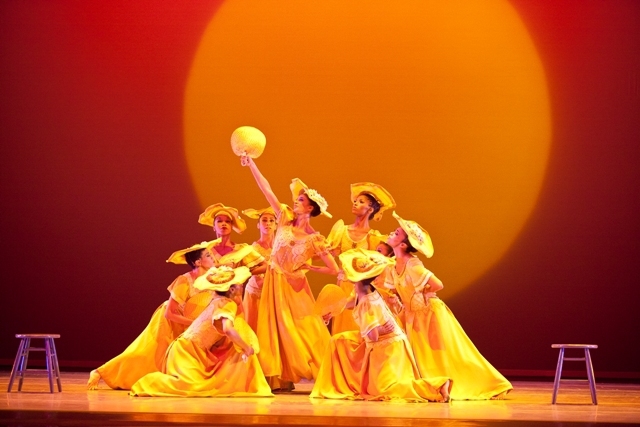 Alvin Ailey Dance Theater may have been around for decades but its choreography still feels one of a kind. It was interesting to see that some of the prima dancers from Birmingham Royal Ballet were in the audience too, and it's no wonder as this company still sets the bar for dance around the world. The UK tour continues until October 19, visiting cities including Edinburgh, Bradford, Southampton, Manchester, Canterbury and Cardiff.